Wagerworks have quickly established themselves as one of the leading online casino software providers thanks to their innovative branded slots games and fruit machines. In the last 2 years, Wagerworks have been responsible for releasing some of the most high profile slots in online gaming, including Elvis Multi Strike, Transformers, Rainbow Riches and Monopoly. Wagerworks slots are extremely popular in the UK thanks to their rich gameplay and bonus round feature games, similar to those found on pub fruit machines. 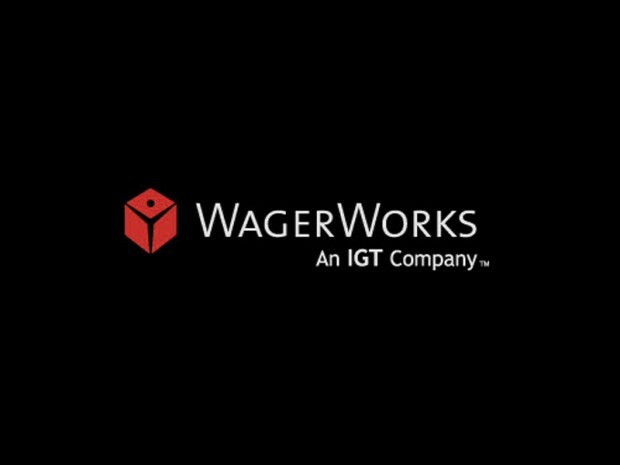 In 2011, Wagerworks was bought by slot machine developer IGT, so you may sometimes hear Wagerworks slots referred to as IGT. Here we list the best online casinos to play Wagerworks slots, and include reviews of all of the slots from Wagerworks. One of the best features of Wagerworks casinos is that all the games are instant play, so there is no need to hang around to download any software, you can get straight into the action. Elvis Multi-Strike Slot The release of the Elvis Multi-Strike at Wagerworks casino was ground breaking due to the fact it was the first online slot to use Tumbling Reels. This feature has been popular in Las Vegas amongst slots players for some time as it offers players extra winning opportunities as well as a great bonus round feature. Click here to play the Elvis slot at Virgin Casino. Monopoly slot The introduction of the Monopoly fruit machine slot that put Wagerworks on the map when it comes to online casinos. Monopoly was the first fruit machine to be transformed into an online slot and the result was a major success. Since then Wagerworks have used a load more branded games and turned them into slots and fruit machines. Click here to play the Monopoly slot at Kerching Casino. Transformers slot Transformers is one of the latest slots to be released by Wagerworks. Combining imagery, characters and sounds from the Transformers cartoon and movie, we rate the Transformers slot as one of the most entertaining to play. Look out for the great Transformers bonus round. Click here to play the Transformers slot at Virgin Casino. Da Vinci Diamonds slot Da Vinci Diamonds is another online slot from Wagerowrks that grabs our attention for being one of the most enjoyable to play. Look out for the bonus features where you can accumulate big wiinings. 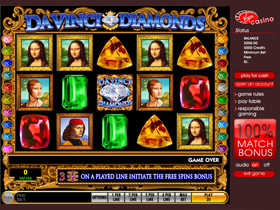 Da Vinci Diamonds is exclusive to Wagerworks casinos. Click here to play Da Vinci Diamonds at Virgin Games. Kerching Featuring the popular Wagerworks Slots and many more fruit machine slots. Virgin Games Virgin Online Casino has lots of slots and fruit machines including Wagerworks Slots.